Epic Sciences said today its liquid biopsy blood test showed in a study that it can help physicians select prostate cancer patients who are likely to benefit from a Pfizer prostate-specific membrane antigen (PSMA)-targeted therapy candidate known as BIND-014 before the start of treatment. Researchers from Epic and Memorial Sloan Kettering Cancer Center assessed BIND-014 in a Phase II trial (NCT01812746) designed to evaluate the treatment’s efficacy and safety in patients with metastatic castration-resistant prostate cancer (mCRPC). The study, “Safety and Efficacy of BIND-014, a Docetaxel Nanoparticle Targeting Prostate-Specific Membrane Antigen for Patients With Metastatic Castration-Resistant Prostate Cancer: A Phase 2 Clinical Trial,” has been published in JAMA Oncology. The study used Epic’s OncotypeDx AR-V7 Nucleus Detect, a blood-based test designed to detect the V7 variant of the androgen receptor protein (AR-V7) in the nucleus of circulating tumor cells (CTCs), information intended to help guide treatment selection—including when to proceed with taxane chemotherapy or androgen directed therapeutics. Epic in 2016 launched a partnership with Genomic Health to commercialize the test in mCRPC patients. In the study, the presence of PSMA-positive CTCs in patients with metastatic prostate cancer was related to the patient's therapeutic response and clinical outcomes to an antibody drug conjugate (ADC) therapy targeting PSMA-positive prostate cancer cells. Every patient who had PSMA-positive CTCs also had populations of PSMA-negative CTCs. PSMA heterogeneity as detected by Epic's CTC analysis provide clinical insight to varying therapy responses and outcomes in metastatic prostate cancer patients, Epic said earlier this year. Epic said it partners with 65 biopharma partners, 40 academic institutes and is involved in more than 250 clinical studies. 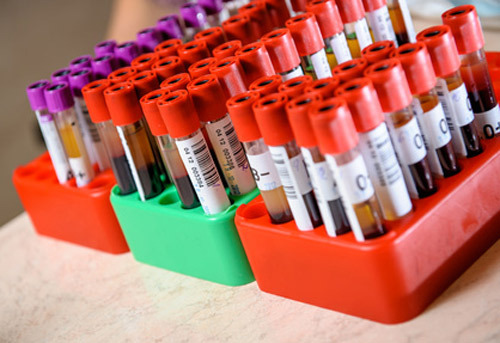 Epic has developed over 40 unique assays for characterizing drug targets on their blood-testing platform. BIND-014 is a PSMA-directed docetaxel-containing nanoparticle—one in a class of highly-selective targeted and programmable therapeutics called Accurins™. Pfizer acquired BIND-014 in 2016, when it won U.S. Bankruptcy Court approval to buy BIND Therapeutics and its assets, after placing the highest bid of $40 million at a court-authorized auction. Pfizer had been BIND’s partner in an up-to-$210 million collaboration launched in April 2013, and extended in 2014 when the companies agreed to apply BIND’s Accurin technology to optimize the therapeutic potential of two oncology drugs in Pfizer’s pipeline. In addition to Pfizer, BIND launched collaborations to develop Accurins with biopharmas that included AstraZeneca, Roche, and Merck & Co.